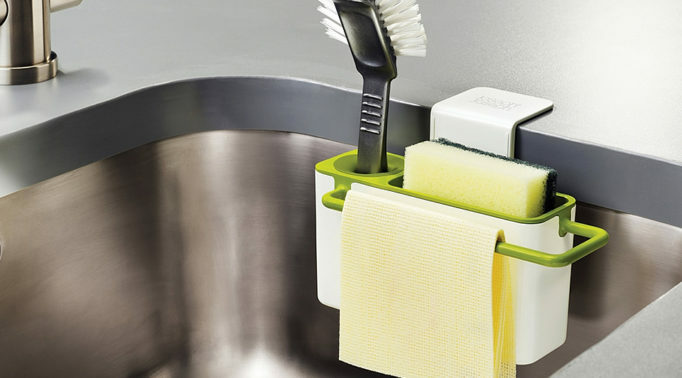 Well engineered for handling kitchen waste hygienically and easily. 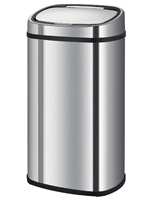 A well designed and high quality kitchen bin is essential for good hygiene, especially when your entire family is throwing away food waste and rubbish everyday. 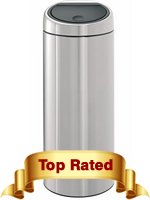 The following top 10 best kitchen bins for 2018 feature easy lids that open and close via touch, pedal and motion sensor. 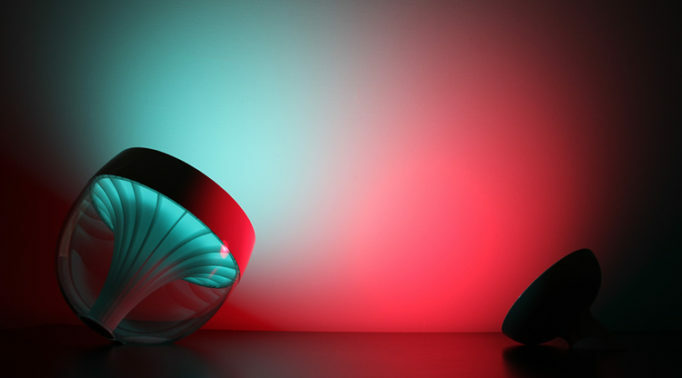 Choose one that fits the needs of your home. If you’re looking for something to seperate your rubbish, then check out our Top 5 Best Kitchen Recycling Bins instead. Shape – What shape is the kitchen bin? A rectangular and semi-circle shaped bin can be put up flat against the wall to save space and look more pleasing. 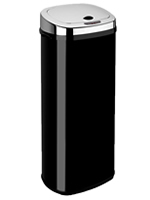 Removable Lid – Can the entire top lid be removed to make it easier to take out and put in the bin liner? 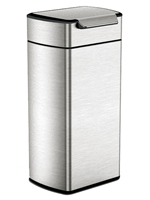 Carrying Handle – Certain kitchen bins have a handle at the back which allows you to carry the bin around easier. 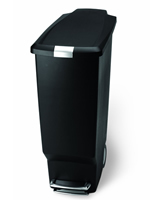 Inner Bag Holder – Is there a separate plastic rim beneath the lid that allows the bin liner to be held down securely? You’ll find that most bins with removable lids do not have/need this feature. Inner Bucket – Some kitchen bins have a removable plastic bucket with a handle which allows you to easily take out the rubbish. The kitchen is one of the hardest places in your home to keep clean. Our Top 10 Rules For Good Kitchen Hygiene explores essential and often unknown tips on how to keep your kitchen clean. 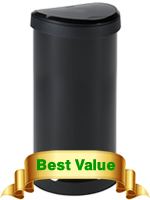 The above showcase video is of the popular and top rated Brabantia One Touch 30 Litre kitchen bin. 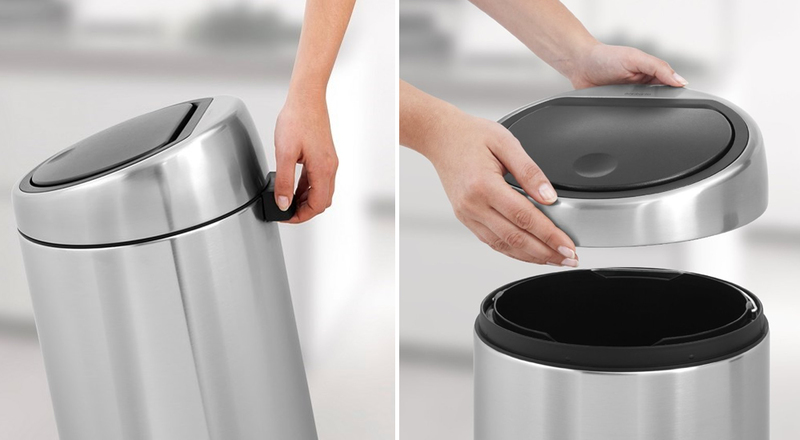 Do You Need a Good Kitchen Bin? In your household, rubbish will get thrown in the bin several times a day, even more so in the kitchen where there’s more waste and all kinds of bacteria around. 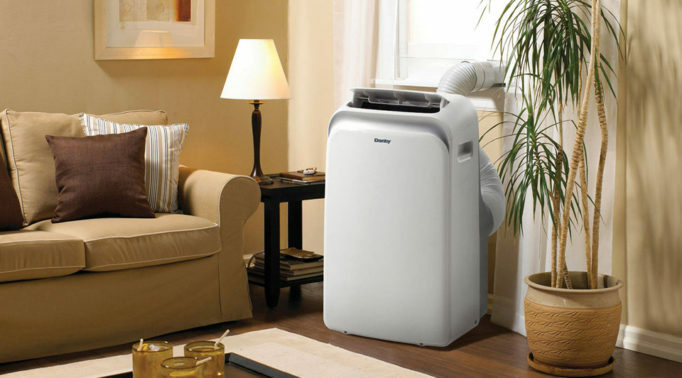 Therefore, good hygiene and waste disposal efficiency is a necessity. But what do the best kitchen bins offer that ordinary cheap kitchen bins don’t have? 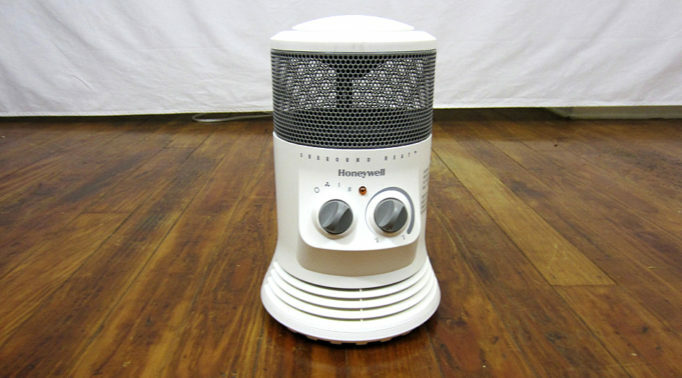 Is it worth spending the extra money for something that essentially just holds waste? The short and simple answer is Yes. Here are just a few reasons. More Attractive Designs – This is the least important reason to buy a good kitchen bin, but it’s an important one nonetheless especially if you want your kitchen to look more appealing. 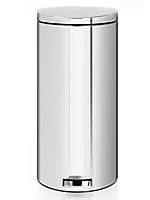 All you need to do is just compare Simplehuman, Curver and Brabantia bins to lesser or no name brands and you’ll see just how big the difference is aesthetically. Higher Quality Materials – Less kitchen bins are constructed out of cheap and thin plastic, while better products are made from sturdy stainless steel or at the very least thick quality plastic. They serve two purposes – Firstly, they provide more stability as they’re not as easily knocked over and secondly, they’re easier to clean in the case of a stainless steel model. 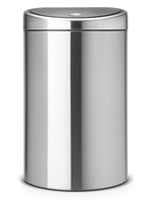 Certain kitchen bins such as the Brabantia One Touch have carry handles at the rear and a removable lid. Better Lid Functionality – One of most common flaws of a cheap kitchen bin is that the lid doesn’t function properly or it breaks too easily. You won’t have that problem with a good quality bin because the lids are attached correctly and they’re easy to open and close. An inner rim to hold the bin liner in place. A removable lid to take out the bin liner easily. A carrying handle at the back in case you want to relocate the bin. A removable inner bucket to take out rubbish easier. 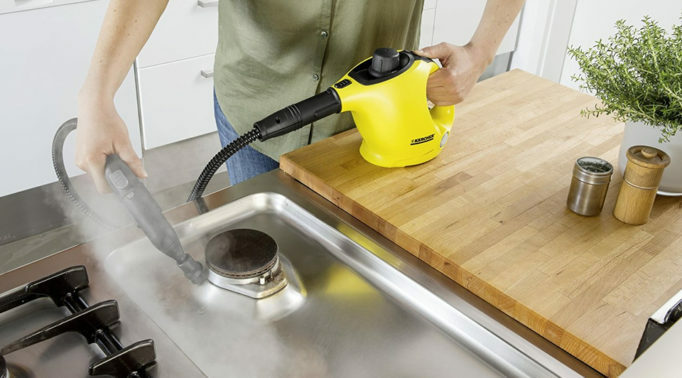 Odour Proof – There’s not much worse in the kitchen than having a bad smell leaking from the kitchen bin. 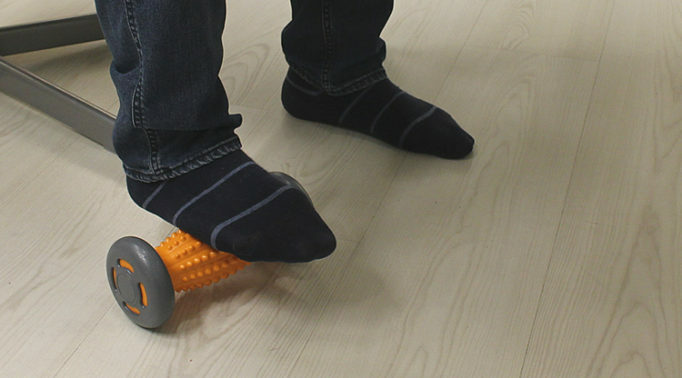 It’s very off putting and your guests will hate it too. 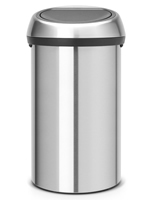 A well designed bin ensures that any odour is contained within the bin itself in an airtight shell. 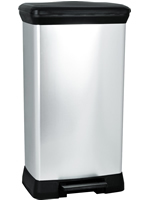 Longer Warranty Period – If you’re at all concerned about the quality of a kitchen bin, then an extended warranty period should give you added peace of mind. 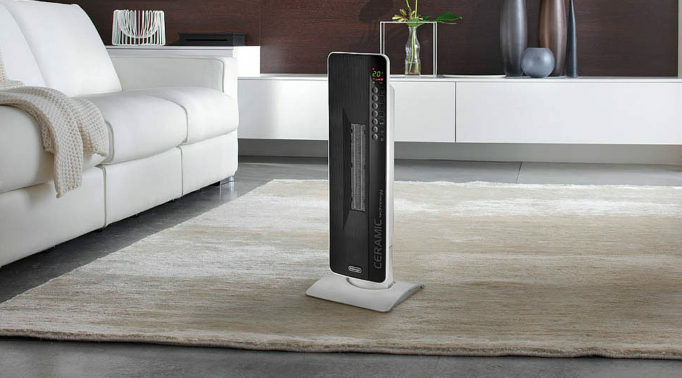 Most renowned brands (particularly Brabantia, Curver and Simplehuman) will offer replacements for certain faults so you can be confident about the product’s longevity. 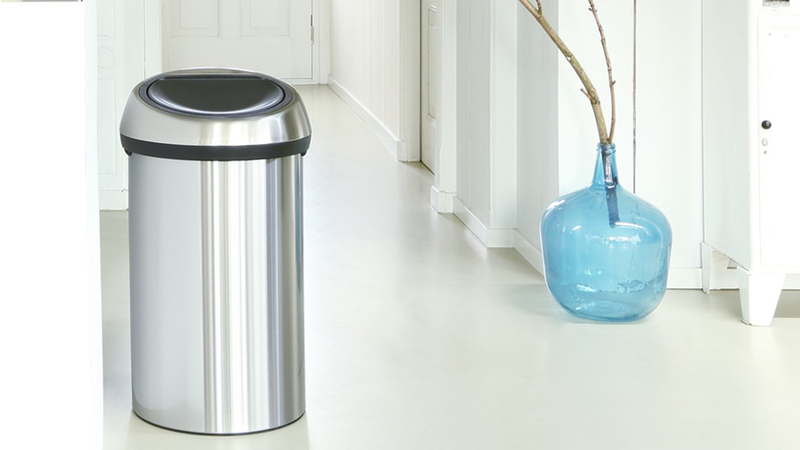 If you’re looking for a kitchen bin that helps to seperate waste for recycling, then check out our Top 5 Best Recycling Bins for Kitchens. If you prefer to watch a quick overview of our best kitchen bins instead, just press play on the video on the left. Let us know your thoughts on our list and your experiences with any of the featured products.